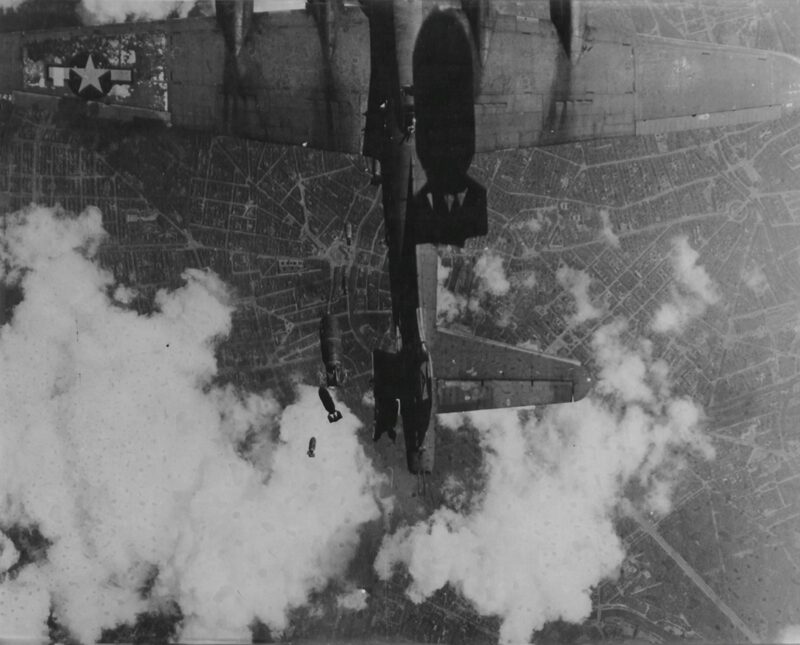 The Boeing B-17G-20-BO bomber “Miss Donna Mae II”, fell under a 1000-pound (453.6 kg) bomb from another B-17 during a raid on Berlin. Bombs smashed the left horizontal stabilizer, the plane moved into uncontrolled rotation, at an altitude of 4 km due to overloads, its wings broke off and it fell to the ground. The whole crew died. The plane from which the photo was taken is also B-17 (Lockheed-Vega B-17G-30-VE serial number 42-97791, name “Trudy”). Both aircraft are from the 332nd Bomber Squadron of the 94th Bomber Group of the US Air Force’s 8th Air Force (332nd Bomb Squadron, 94th Bomb Group, 8th Air Force). S/Sgt. Willard M. Christensen – tail shooter.